Don't . Puzzle . It. | One mother's attempt to go beyond the autism debate. You can’t pour from an empty cup. Take care of yourself first! I think there is a period in every blogger’s life when, for whatever reason, their blogging activity falls by the way side. Well, I’ve just gone through that period myself which lasted for most of last year I hate to admit. When I started this blog I was really keen, above all else, to keep it light and positive. Although that is still my intention, it would be dishonest of me to pretend that life for me is always sweetness and light. Of course it’s not; nobody’s life is (with or without autism). So, for the record, let me explain a little of what I was doing last year that kept me away from blogging. Firstly, my eldest child was in her final year of school, studying for the International Baccalaureate and making University applications. She had an intensive work load, exam stress and a busy schedule of University visits, applications, and interviews which took it’s toll on all of us. All was well in the end though, she gained her IB diploma and secured her first choice place at University which she thoroughly deserves for all her hard work. At the same time, my middle child (the one who drives my passion to write publicly about autism 🙂 ) was nearing the end of his three year placement in the school he was at and we had to search for another placement for him. To cut a (very) long story short, 18 months of research, visits, consultations, phone calls, meetings, and paperwork resulted in a dead end. Consequently my son is currently not in school. I should add that I have always felt that he would be more suited to home schooling (as autistic children often are), but I live in a country where home schooling is not legal. (We are currently living in a foreign country and I am dealing with bureaucracy in a second language that I’m not fluent in and without an extended family network close at hand for support). The search for suitable options for him is ongoing. Meanwhile, my youngest child was also getting on with life in his happy go lucky way. With all this going on I kept driving on and on without really realising how much I was running on empty until I found myself sitting across the desk from my doctor telling me I had burn out. I have taken some time to pause, breath and re evaluate how I can better take care of myself in order to take care of others. This process has included trying to meditate – something I never thought I would be able to do; my mind isn’t the quiet type and who has time to sit still and just be anyway?! – and a new pilates class. And now, onwards and upwards, and looking forward to getting back to regular blogging – Yay! Another weekend, another coffee. How have you been since our last chat? For my part, I’m still reading the book that I talked about in my last post so no follow up post about that just yet. In the meantime I had a further idea. Story telling is a very powerful way of communicating and when it comes to autism, personal stories can give a lot of insight and are a great way of spreading understanding. I listen to a lot of podcasts and from time to time stories about autism turn up on them. I thought it would be a good idea to post some of these podcast stories here on my blog in between the book posts I plan to make. Today I’d like to share with you ‘The Boy Who Made Waves’ by Joe Blair. (This link (below) is from WYNC Snap Judgement podacst Episode #803 ‘Run For It’.) Joe is the father of four children, one of whom has autism. This particular story of his about his autistic son is so beautifully written and is full of honesty, truth, tenderness and compassion. To me this story speaks of the deep intuition and creativity involved in parenting an autistic child and also of the wonder of it. All of us are unique indiviuals, but autism sort of adds an extra layer to that uniqueness. Joe Blair describes his son as “The source of joy and of concern…” which of course is the case with any child, but particularly so an autistic one. This is one story, of one autistic child and one family. There are countless others and every one will be unique. I hope you enjoy listening to this one as much as I did. If we were having coffee I would inevitably have to pass comment about how long it has been since we last had coffee together. We’re already in to February and this is the first blog post I have made this year. In my defence many things have kept me from being able to sit down and write recently; I’ll spare you all the details, let’s just say it was life stuff! Well, I’m here now and you’re here so let’s drink our coffee and catch up. I started reading and finished the book very quickly. Afterwards I passed on the copy I had, either to another charity or to a friend, I don’t remember now which. But the story itself never left me. There were a couple of happenings in the book that struck me very vividly and remained alive in my memory years afterwards. At the time I read it my (autistic) son was very young, a baby still, and I had no idea back then that he was autistic or indeed any inkling that he was in any way non-typical. As the years went by and we started on our own journey with autism as a family, mental images from the book kept coming back to me. I’ve always found it a little haunting (for want of a better word) that one of my strong memories of the mother and son from the story later became a reality in my life, even though I had no notion that my life was heading that same way when I read the book. Over the years I have come to think that it was not coincidence that I picked up that book that day at the school sale. I believe that it was meant to be, that it was some sort of unconscious premonition. So, why am I reading it again now you may well ask? Well, although I never forgot the story, I did forget both the name of the book and it’s author. I have wanted to re read it for years but it’s difficult to track down a book without knowing either it’s title or author! Of course I did vividly remember the cover picture of the copy I had and for years I kept my eyes open for it when in book shops but that’s really not a very efficient method for tracking down a book 🙂 . I had also made vague attempts to search for the book online, but with so few details to work with I drew a blank. Eventually I couldn’t let it be. I felt a huge need to re read the book and determined that it had to be possible to find it online. Thanks to the site http://www.goodreads.com and their listopias I finally found it after trawling through lists of books with autism in them. I immediately bought a copy from my favourite online second hand book store, http://www.awesomebooks.com, and that is why I am currently reading it again. And why am I telling you all of this now over our coffees you may well be thinking? Because as I was reading an idea came to me. One of the things I hope to do with this blog is to further the understanding of autism beyond the autism community in a low key, accesible way. I am an avid reader and naturally I often read books that are related to autism. 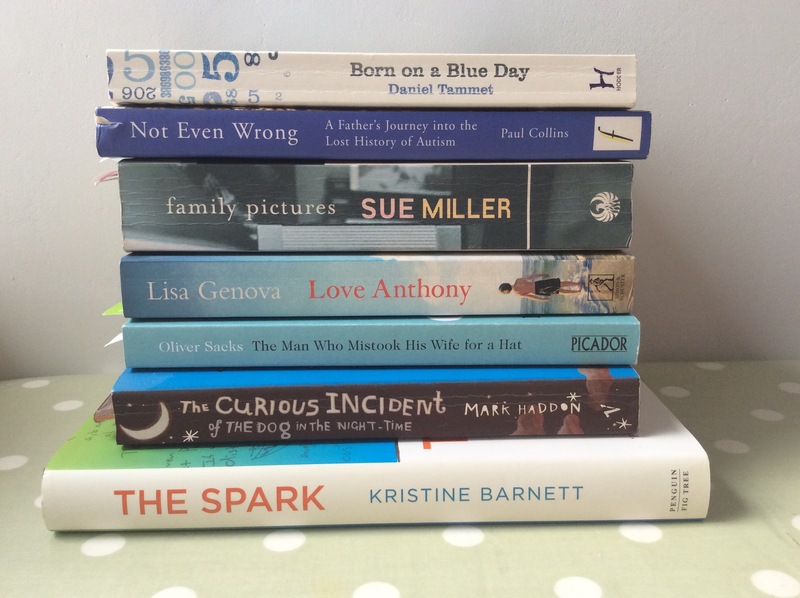 It occurred to me that I could write about these books in my blog posts and share my reviews and personal thoughts about the books and the way they address or portray autism. There you have it, my plan for this blog for 2017. The books I will write about will be a mixture of fiction and non fiction and of course the first one will be ‘family pictures – Sue Miller’. I’m really looking forward to writing the posts throughout this year, and I hope you will enjoy reading them. 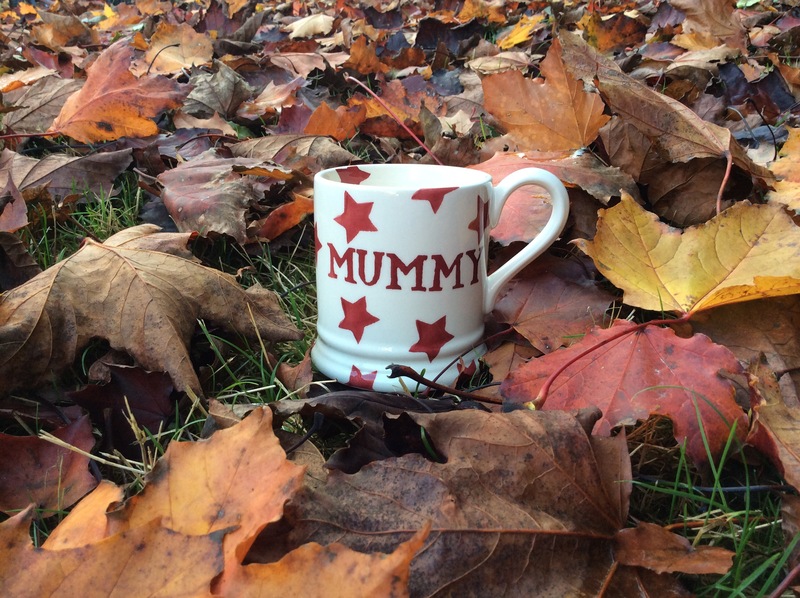 The #Weekendcoffeeshare is hosted by Diana on her blog Part Time Monster. Follow the link to read other coffee share posts and find out how to join in yourself. If we were having coffee today I would be grateful for the chance to sit down and chat with you over a nice hot beverage. It’s been a busy week for me but today I have space to relax for a while and share a story with you. On Thursday I had a meeting at my son’s school. Let me tell you something, when you’re the parent of an autistic child life becomes one long cycle of meetings, appointments, phone calls and administration. It’s all for a good purpose of course but it does get exhausting at times. The meeting I took part in this week was a particularly important one to discuss my son’s future. He is in his final year at the school he is currently attending and we need to hatch a ‘What next?’ Plan for him. For me this is a stressful time and there are difficult decisions to be made. There were seven of us in that meeting, all of us have been working with my son in one capacity or another and know him well. Still, at this point we are struggling with ideas for his immediate future. That is one of the amazing things about autism. Autistic people often have what is described as ‘scattered skills’. Neurotypical people tend to be relatively consistent in their abilities across skill sets, but autistic people tend to have large variations in abilities from skill to skill. Thus autistic people can perform significantly below average in some areas, average or thereabouts in others, and significantly above average in yet other areas, all at once. The shame of this is that people tend to focus heavily on the things that a person with autism struggles with, and when they do this they are overlooking and missing out on the many areas in which that person may have remarkable and exceptional strengths. I hope to encourage people to look more at the strengths. Welcome to another #Weekendcoffeeshare post which is hosted by Diana on her blog Part Time Monster. Follow the link to read other coffee share posts and find out how to join in yourself. If we were having coffee today I would have trouble deciding whether we should sit inside or outside, the weather is neither here nor there right now which also reflects my mood at the moment. 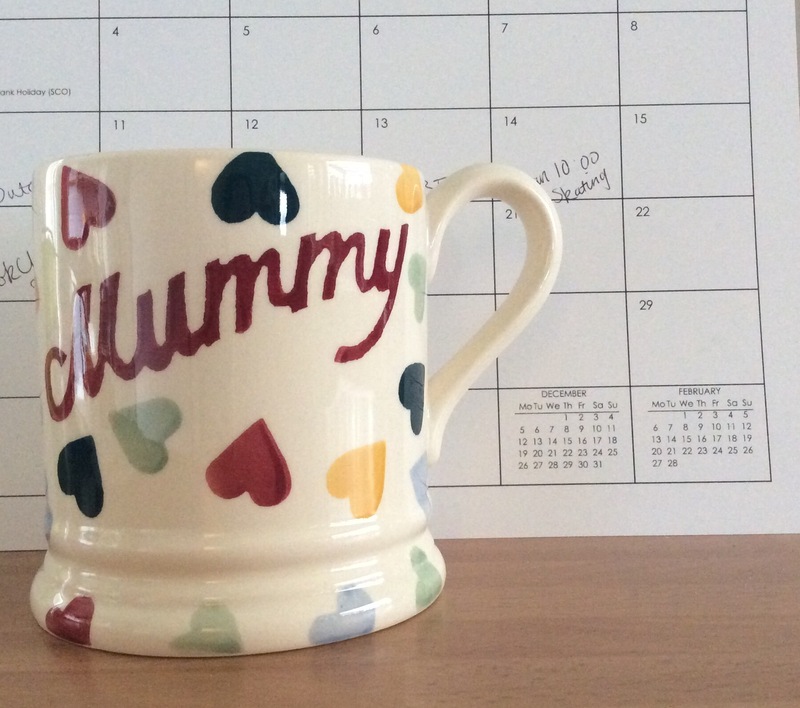 As we sat chatting I would have to tell you that I can’t believe that the school summer holiday is now nearing an end and this is the first coffee share (the first post of any sort) that I have managed to get written this summer! This summer I have been reflecting on the whole notion of having a summer ‘holiday’ when you have an autistic child. I don’t want to over dramatise, there are worse things in life for sure, but I did find myself thinking the thought that when you have an autistic child there is really no such thing as a ‘holiday’ or time off. It’s not as if you can take a trip somewhere and leave autism behind for the week; it always comes with you. Also, due to the nature of the condition, taking trips and travelling with an autistic child, rather than being a fun adventure, can often be stressful and hard work. New places and experiences mean uncertainty. Sometimes my son is absolutely fine and really enjoys himself but other times he finds it all too much and is very unsettled, uncomfortable or has meltdowns. For me as a parent I find myself in an almost constant state of alert trying to be vigilant for situations that may be too much for my son, with the result being that even if everything turned out just fine, I find myself exhausted from anxiety related stress. The stress mostly comes from the fact that it’s hard to know what might or might not be a trigger for my son and so I’m constantly having to be on the look out for potential triggers and make guesses. Lack of normal routine is also a problem during holiday periods. As a family we tend to drift away from our normal bed and waking times during the holidays. Whilst my other two children can quickly shift back to their regular sleeping times once school starts again, my autistic son can’t. The lack of routine when school is out plays havoc with his sleeping patterns. This leaves me with the options of (a) giving myself a bit of time off from managing his sleep routine and letting him be awake/asleep at random times and then having to put in the hard work as the new school term approaches to shift his sleeping back to a routine OR (b) just sustaining my normal level of hard work in keeping him on a steady sleep pattern throughout the holidays, thus not getting a break or rest myself. This year we didn’t make any summer travel plans as such. We did however spend some time visiting family (since we are an expat family most of our travels involve going back ‘home’). Whilst it’s nice to be back home and spend time with family, it can also be another source of stress. Trying to manage my son’s behaviour whilst staying in other people’s homes and feeling that your parenting is under the spotlight (even if in reality it’s not, that feeling lingers over me) is again a tiring situation. Our normal routines and coping strategies are sometimes hard to implement in someone else’s home and environment. That said, I recognise that much of my stress, anxiety and tiredness is self produced. I worry a lot about potential situations that may arise, about my son being unnecessarily distressed if we misjudge a situation and about the judgement of others if a situation were to arise. I try to think ahead and spot potential triggers for my son in order to avoid them which is an energy draining way to live. This summer we did have a few family days out that were not the best with my son, the photos from one trip in particular in which he is scowling in every single picture taken tell the tale! But there were the good days too, most notably the day we spent at Dover Castle when they had a special Roman Weekend event. It was a planned trip arranged especially for my son and, as we had hoped, he really enjoyed it and the day was a success despite the awful weather. All day long I watched as my son interacted with the Roman experts; I stood back watching him ask questions and then supply the answers himself, I watched him share knowledge with the experts rather than just take knowledge from them and I watched as the experts looked in turns surprised and impressed at his knowledge. I smiled to myself at this familiar situation, this ‘who is teaching who?’ dynamic that I have witnessed so often. It is at these moments that my son, with all of his infinite brilliance, shines so brightly. If we were having coffee I would have to warn you that I’m not going to be the best company this week. Normally I’m an upbeat, ‘glass half full’ sort of person but this week I’m struggling to be cheerful. “What’s up?” I hear you ask. Well, firstly Brexit and the subsequent fallout. I am British and passionately pro the EU. I’m really upset that the referendum result was Leave and angry about it on so many levels. I spent the weeks leading up to the referendum doing a lot of shouting at the TV as both sides in the campaign delivered lies and dubious statistics and have spent even more time since the result getting cross and frustrated at the debacle that has followed. But enough politics. “Some days it’s fine. Other days it’s tough, just really tough. By 7:45 this morning I was battle worn and exhausted. I know that something unsettled my son yesterday and that his behaviour this morning is a result of him processing that, but I have to guess what that thing is as he can’t communicate it to me. In these situations, sometimes I can work it out and other times I’m clueless. Today I’m clueless. I have no option but to ride this one out. I think the first line of the post above says it all; some days it’s fine (most days really) but other days raising a child with autism is tough, tough in practical terms but mostly tough emotionally. That said, the same is true of raising any child. I was listening to a podcast this week which talked about how parenting has fundamentally changed in recent generations and how nowadays parents are very invested in the ‘happiness’ of their children. As parents, we have a tendency to feel that the sole responsibility for our children’s happiness in their future lives as adults depends on us doing all the ‘right’ things throughout their childhood years. When you have a child with autism, this responsibility feels that little bit bigger. And… if we were still drinking coffee together, this would have turned into more of a sleepover by now since I started writing this post over 24 hours ago! 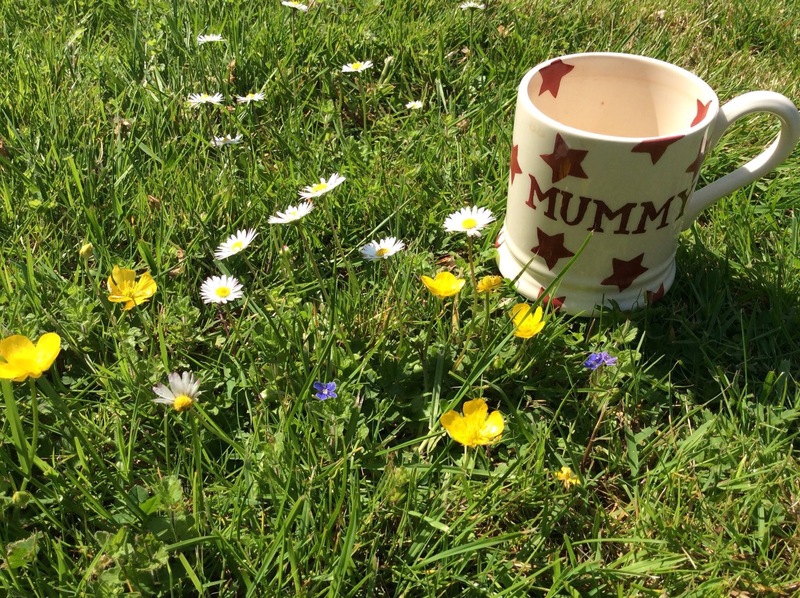 That’s the thing with being a mother, some weekends it’s hard to find enough consecutive free minutes to write a whole post in one sitting. ……..If we were having coffee I would invite you to have a seat in my living room and apologise (again) for the mess. It’s been another busy, and at times stressful, week in our house what with my daughter being in the middle of exam week at school, my eldest son’s birthday and my youngest son being his normal energetic self. But anyway, I have something specific on my mind that I’d like to chat with you about over our coffee this week. Let me start at the beginning; I am a big fan of Ted Talks. I have the Ted app installed on my iPad and I often listen to talks whilst I’m doing chores at home. They are so varied in nature; some entertain and make me laugh, some are very moving but whatever their content and nature, nearly all either educate or give pause for thought and that’s what I like about them. The town that I live in hosts it’s own TEDx conferences and last year I was lucky enough to get a ticket to be in the audience. The theme for the conference was ‘Be The Cure’ and it was interpreted in diverse ways. I came away from the conference feeling so inspired and with a voice in my head that was ever so quietly saying “I’d like to give a TED talk”. This week my local TEDx team issued an invitation to their pitch night for their 2016 conference for which the theme is “A Matter of Perspective: it’s all in the mind“. Now let’s suppose I was considering giving a TED talk, what would I talk about? I would love to give a talk about Autism, and, well, this 2016 theme is looking like some kind of sign to me that I should go for it. I mean, it’s a gift of a theme to me as it so easily links to the subject of Autism. As soon as I read the theme I started composing a talk in my head, straight away I knew almost exactly how I would construct my talk. It’s something I feel very passionate about. Here comes the ‘but’….but the problem is though that I am a classic introvert and public speaking is something I avoid at all costs. I’m the kind of person who gets nervous and anxious when I have to present a book to my book club, a group of close female friends with whom I’ve been in said book club for around 15 years (you see the scale of my problem?!) Just the thought of filling out an application form for the pitch night is enough to make my anxiety kick in. I mentioned this whole thing to my husband who said “You should go for it, it would be good for you to step outside of your comfort zone.” The trouble is that this feels to me not so much that I would be ‘stepping’ out of my comfort zone as I would be ‘hurtling’ myself human canon ball style out of my comfort zone. I don’t know if I could trust myself to stand on a stage and talk to a theatre full of people without fainting or something! Oh and did I mention that I have zero experience of public speaking of any kind? So that is what I’m working over and over in my head this weekend; should I apply or am I being ridiculous for even considering it? And whilst I have your ear right now I would like to ask you what you think about my dilemma and if you have any advice to share with me? ADaughtersHero on I write because…. janemuras on Fancy A Cuppa With Me?